Shelter, warmth, security, and safety are basic human needs. The thought of paying high interest bank loans for decades to meet these needs just sends shivers down our spine. 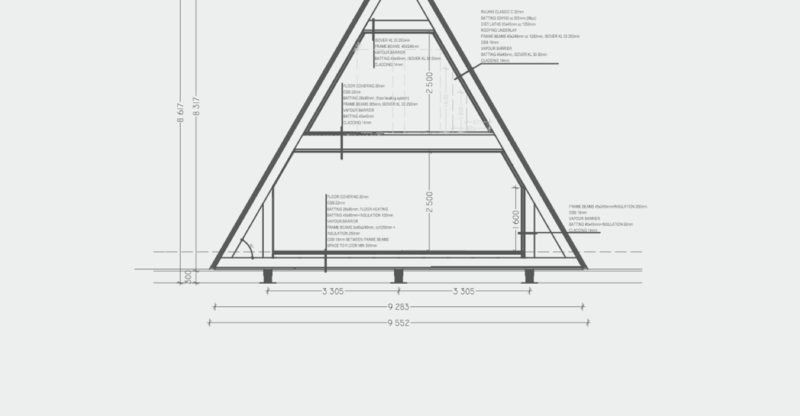 Leave that behind when you order an A-frame home from us. 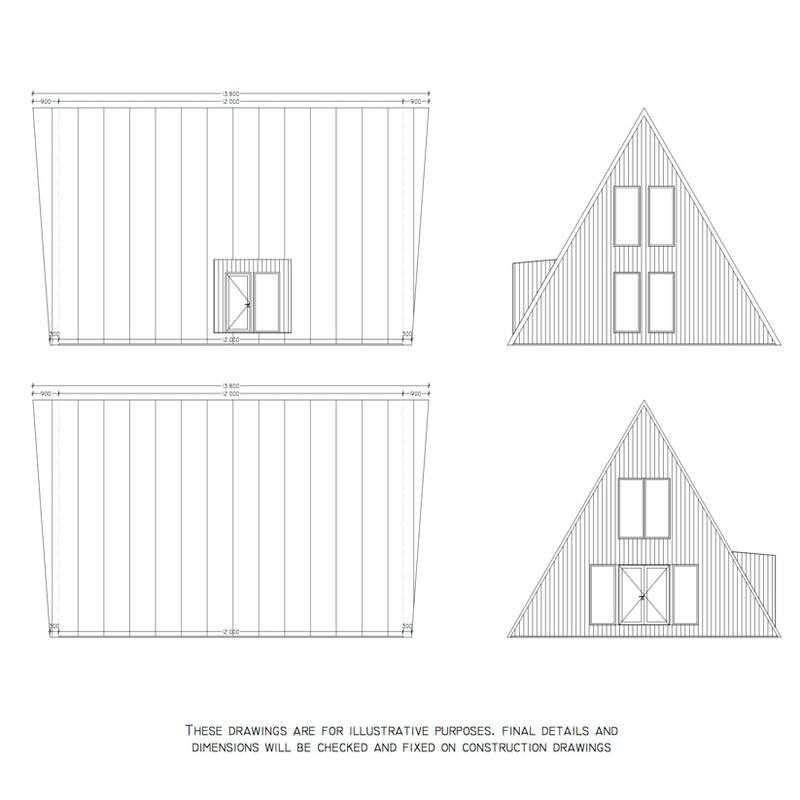 Our CEO, Indrek Kuldkepp lives in an A-frame house himself. With 20 years of experience in the industry, you'll be all set with us. 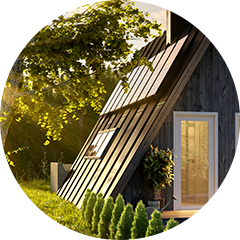 There's no need to settle for a sub-par and expensive home. Take back control of how your house is built and let it serve you. 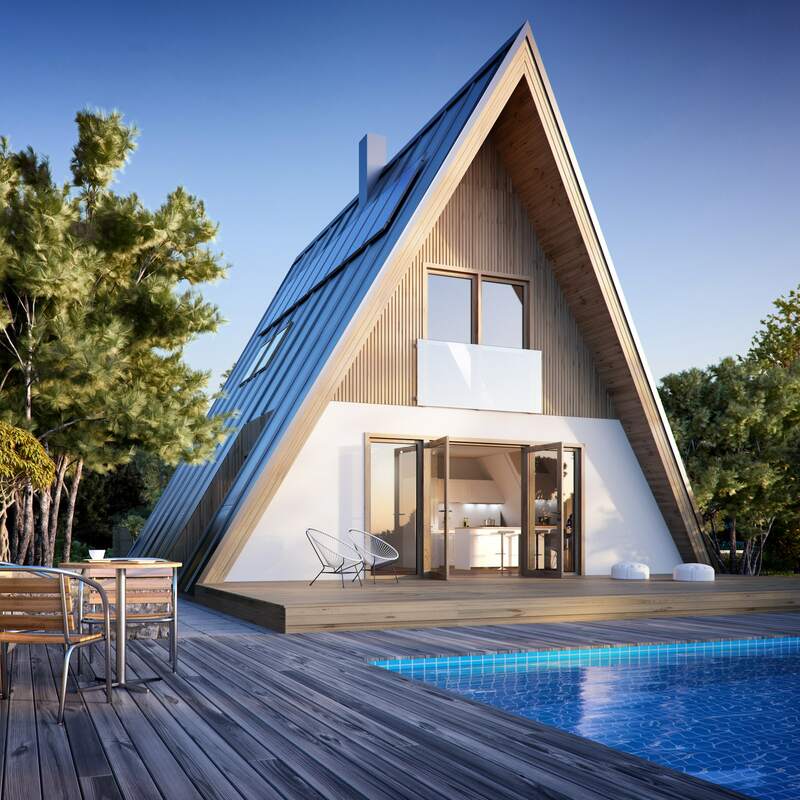 A-frame houses have been around a long time, mainly due to their exceptional ability to function as comfortable homes using limited resources. 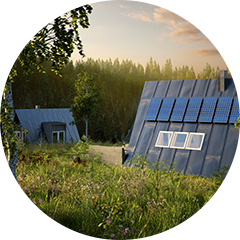 Now, with improved technology, they're the perfect housing candidates for any off-grid lifestyle. 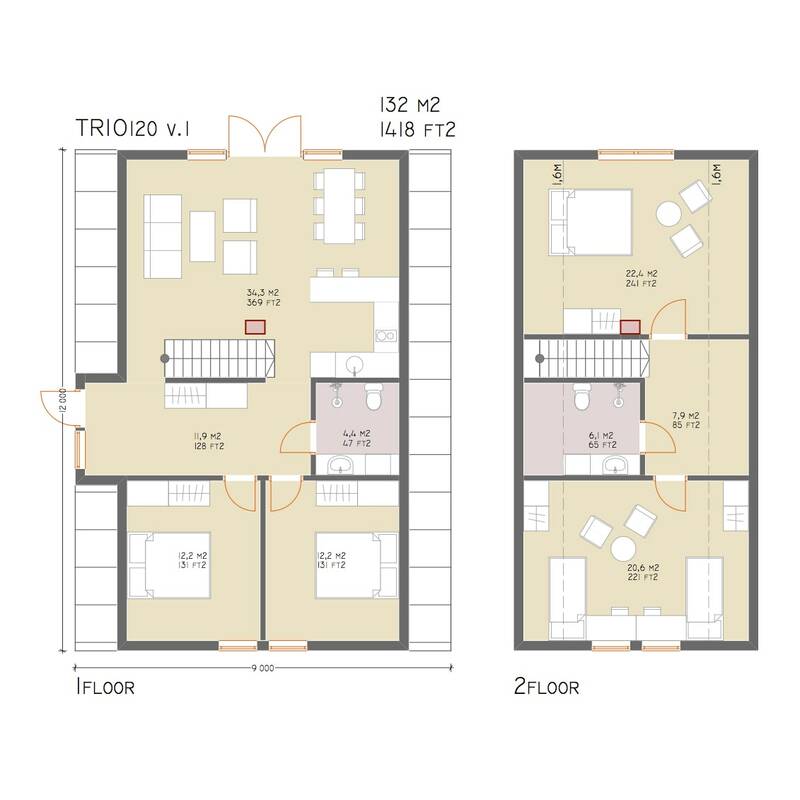 The TRIO 120 is a 4 bedroom / 2 bathroom spacious home. It takes about 6 weeks to manufacture and 4 weeks to ship (depending on your location). 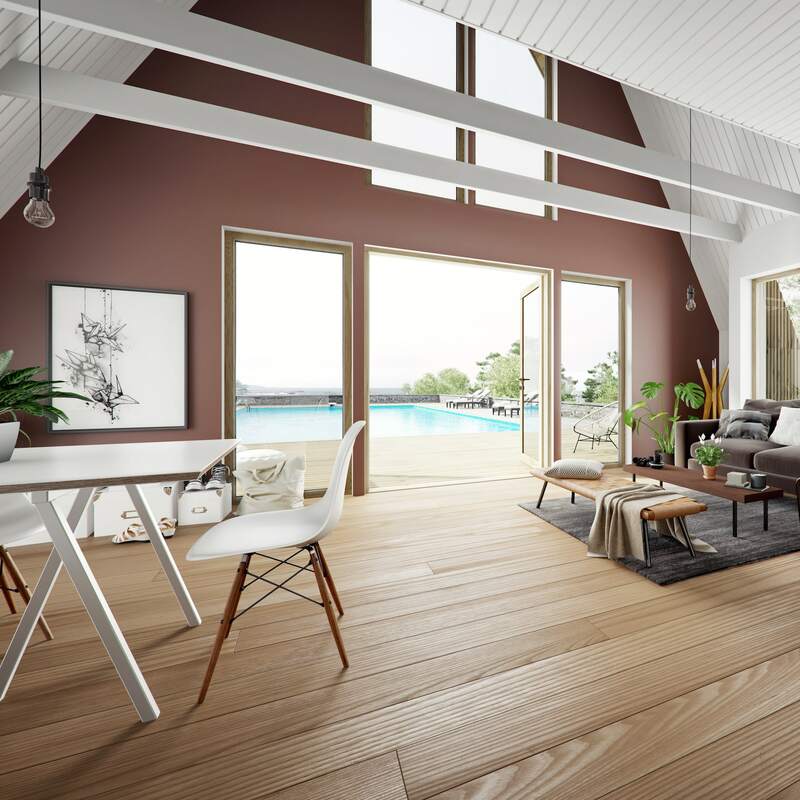 The Trio 120 model features the frame of the building (including windows, doors, the undercoating of the roof, and the roof), building accessories, and a full set of drawings. You’ll need to take care of the foundation, insulation materials, infrastructure and interior finishing. Save more than 100% of your average cookie cutter house with the same functionalities. 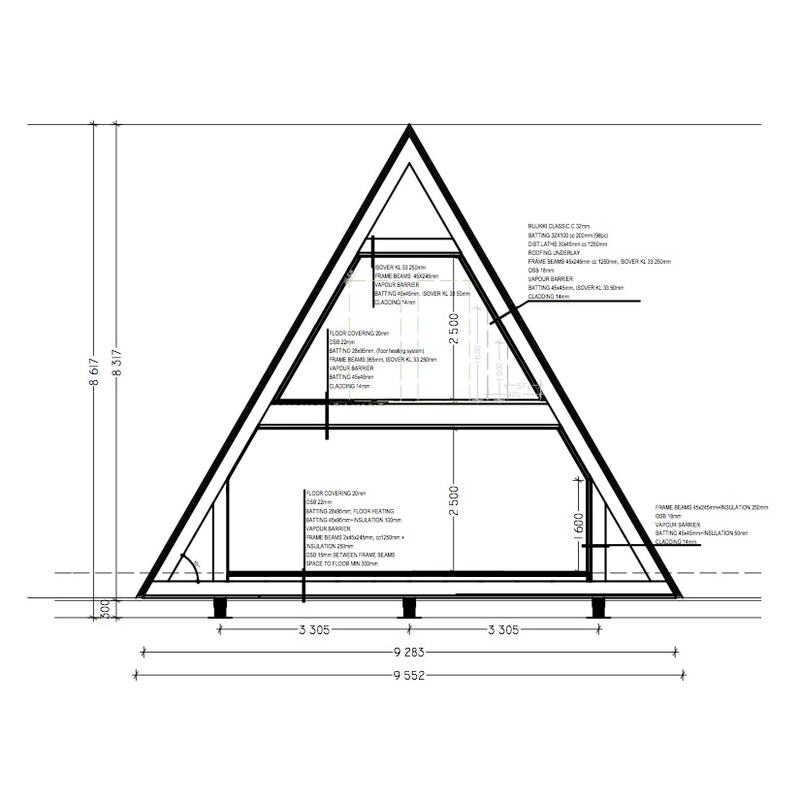 A basic kit contains strength-graded timber as structural truss and gable walls, battens for roof and wall structures, pressure-treated sill plate, OSB3 for floor structure, breathable underlay for roofing, vapor barrier, and PVC windows and terrace doors. Also included are building accessories such as fixings, nails, WT-screws, silicon, foam, a full set of drawings for getting your building permit and more. The simple design allows you to build it anywhere. Your dream day can start with sipping coffee by the lake, waking up to nature in the forest, or enjoying serene peace in vast clearing. 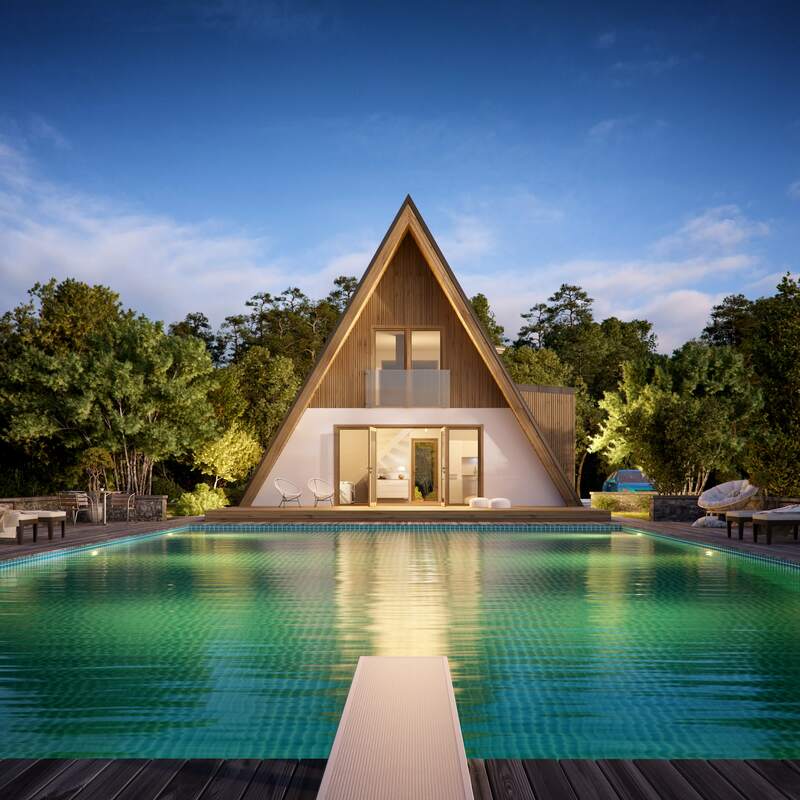 The philosophy of the A-frame home is to eliminate the redundant aspects of the typical home and provide a living space that meets all your needs without compromising comfort and style. Instead of spending your hard-earned money paying off bank loans for decades, spend it on more important things - your health, education, travel, business, etc. Along with your e-mail address, send us some details about your land and plans. You'll need to own a piece of land before the kit arrives. After reviewing your details, you’ll get a custom quote and we’ll provide all the details about exactly what is included. Our blueprints are examined by engineers and architects and are easily understandable by any good contractor. Order in the summer and move in by Christmas.